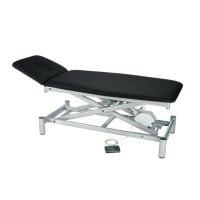 The massage couch provides both the patient and the therapist with a relaxed, bodily position during massages. 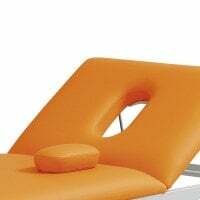 In our online shop, you will find a large selection of stationary and mobile massage couches, as well as massage chairs for your therapeutic practice. 64,00 EUR* Not ready for shipping. Reserve today and we will ship as soon as possible. 1.981,47 EUR* Not ready for shipping. Reserve today and we will ship as soon as possible. 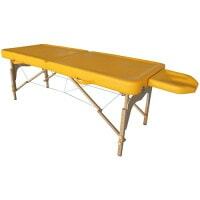 Find your Massage Table Here! A massage couch (also known as a massage table) or a massage chair is used to properly position patients during massage therapy. 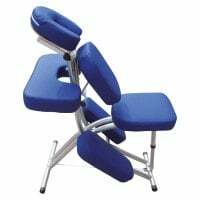 While the massage chair is specially designed for back, neck and head massages, in a seated position, the massage couch can be used for nearly all types of massages. 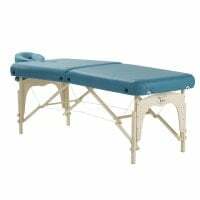 Therefore, the multipurpose therapy table is an integral part of all physiotherapy and massage therapy practices. 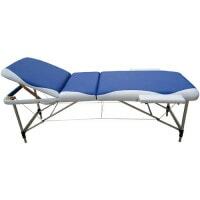 There is a basic difference between stationary and portable massage couches. 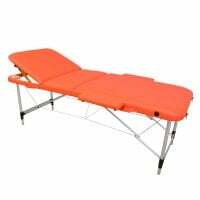 The portable massage couch is collapsible and can be transported in a space-saving manner. Therefore, it is not only suited for treatments on house calls or massages outside of the practice, but the collapsible variation is also a great solution for practices with limited space. 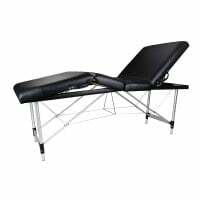 On the other hand, the stationary massage table is not transportable, is more robustly constructed, has stronger upholstery and serves as a long-term solution for massage therapy and physiotherapy practices. Classic massage couches mostly have wooden or aluminium frames, whereas massage chairs are typically made of metal. Massage couches should not only have wipeable and disinfectable covers (e.g. from synthetic leather), but they should also provide the patient with incomparable comfort by means of generous padding and a headrest. 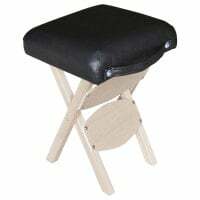 It is also important for massage tables and massage chairs to be height-adjustable and have an adjustable headrest. 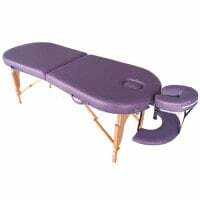 This allows the therapist to position the patient comfortably and to treat them in a sustained bodily position on the massage couch. Independent from the type and specification of the table, the height adjustment can be carried out either through an electric or manual (hydraulic) system. 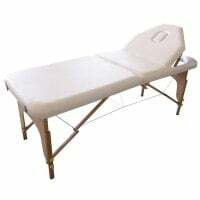 Massage tables are available in various specifications, based on therapy style. The Ayurveda table, for example, has a raised outer edge, around the entire table, which prevents massage oil from running off onto the floor during therapy. 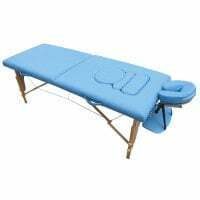 Whether stationary or portable massage couch, massage table, massage chair or acupuncture table, you will find the proper therapy furniture and compatible massage accessories, such as massage oil, for every need. 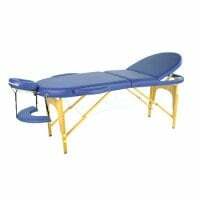 Buy your perfect massage table - fast, affordable and around the clock! 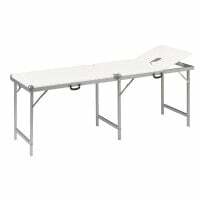 Furthermore in our online shop, you may order cosmetic tables and treatment tables for your surgery or physiotherapy practice in many modern colours.